That walk has been a swift one since Shelby won both the Charles Mingus Scholarship to the California Institute of the Arts and the John Coltrane Young Musicians & Artists Competition in the same year, 1991. Over the last two decades Shelby – who leads the Marcus Shelby Jazz Orchestra, the Marcus Shelby Hot 7, the Marcus Shelby Quintet and the Marcus Shelby Trio -- has become a fixture of the San Francisco blues and jazz scene. 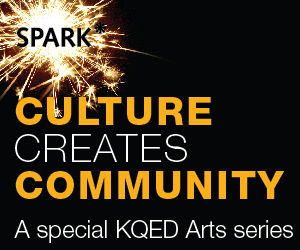 Voted best jazz musician by numerous Bay Area publications, Shelby is a San Francisco Arts Commissioner and an artist in residence at the Yerba Buena Gardens Festival. The organization funds many of Shelby’s projects that bring music to underserved communities and has commissioned a number of Shelby’s extended compositions. "The bass is like the heartbeat," says bandleader and composer Marcus Shelby. "It's that sound -- that resonant wood, the tree of life -- that has always attracted me." 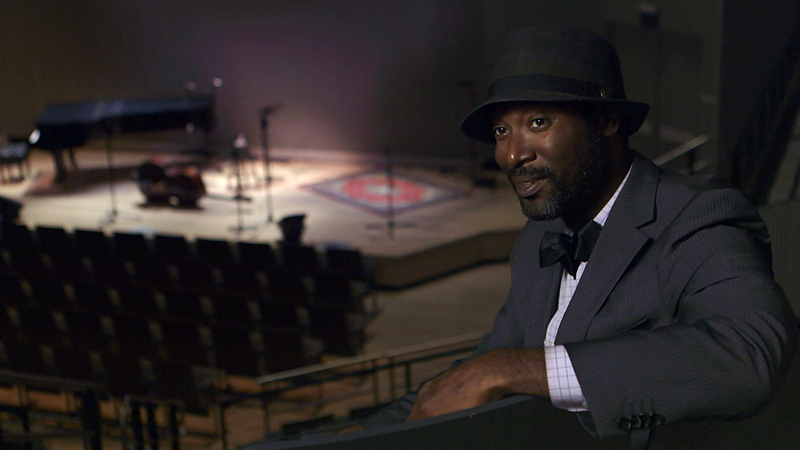 Marcus Shelby performs at the SFJAZZ Center, where he has played for many years with the Family Matinee Program and on the main stage, Miner Auditorium -- which SFJAZZ donated for the filming of the accompanying video. 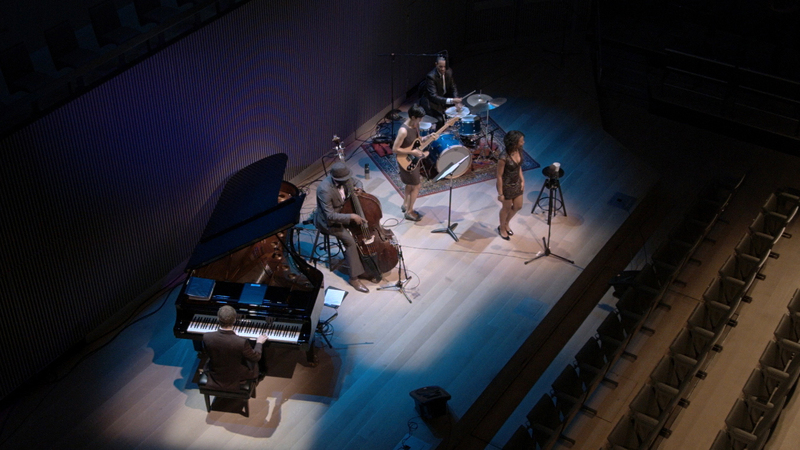 Here the Marcus Shelby Quintet performs, with Tiffany Austin on vocals, Joe Warner at piano, Ila Cantor on guitar, Geechi Taylor on drums and Marcus Shelby on bass. Shelby says sharing these stories with young people adds a heightened meaning to his music. “When I’m talking to young people, I’m not just regurgitating the history, but I’m talking about a time in our history where people had to do great things,” Shelby says. “I try to connect their feelings with this musical power. I tell them they have that power.” Over the years Shelby has worked with youths of all ages, from preschoolers to university students, at such places as the Rooftop Alternative School in San Francisco, the Community Music Center in the Mission, and the Stanford Jazz Workshop, at Stanford University. Shelby also performs and gives workshops in juvenile halls like the Juvenile Justice Center in San Francisco (shown in the accompanying video), where he says he strives to inspire and build relationships with young people while encouraging their natural creative talents. 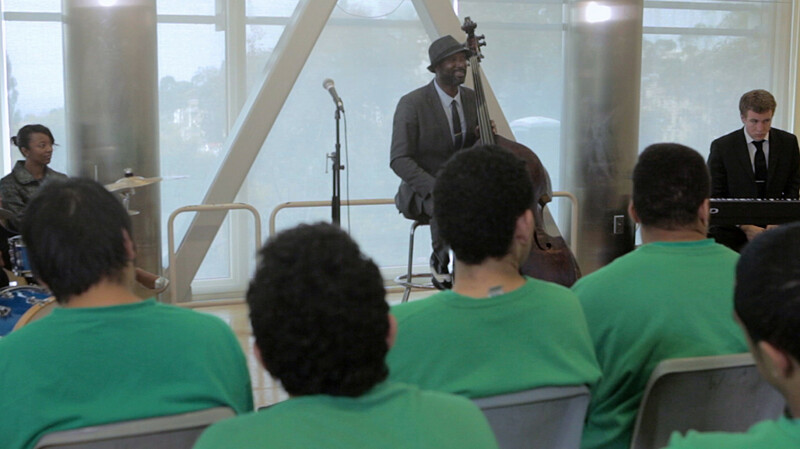 Shelby and his fellow musicians encourage young people in San Francisco's Juvenile Justice Center to express their creativity. In his talks with kids he reminds them that Louis Armstrong got his musical start in reform school. Shelby believes he’s following the example of musicians like Charles Mingus, Duke Ellington and Nina Simone -- artists who used their music to highlight the issues of the day. “In every freedom and social movement, music has been at the center as a tool for communication,” Shelby says. “So I think that it has a power that extends outside of just performance or entertainment.” Shelby’s next project is to compose the music for Anna Deavere Smith’s one-woman show about the school-to-prison pipeline.